At Neuro Sports Performance and Rehab, our post-surgery ACL Recovery Program can typically have you back on the field or court in 7 weeks or less. Take a look at this quick video where Professional Basketball Player Michael White discusses how the amazing ARPwave technology helped him recover after what told him was a career ending second ACL surgery. "I was going through physical therapy, it wasn't giving me the results I wanted. The ARPwave actually came through for me, kind of saved my life, saved my career. It changed every aspect on how I view rehab and therapy." Simple, injuries in the body come from a loss of NEUROLOGICAL function not physiological function and if you treat an injury or surgery with rehab from a neurological stand point, then your recovery time is vastly accelerated with far better results. However, in traditional post-ACL surgery every physical therapist and athletic trainer is going to tell you 6-9 months because they will be treating the physiological component of where the problem ended up. 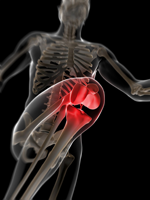 Traditional rehab will do absolutely nothing to address where the ACL tear originated from. Until the ORIGIN of where the ACL tear came from is treated, no amount of rest, ice, physical therapy or strength training is going give you long term results, neither will it get you back in the game in an expedited time frame. That's where we come in. 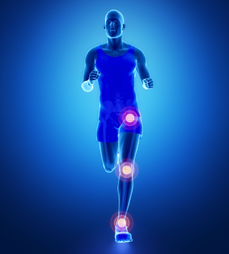 After your ACL surgery, you will begin your ARP Wave 7 Week ACL Recovery Program. EXAMPLE: Adrian Peterson. Even though he is an extremely built athlete in the NFL, it didn't prevent him from going down with a season ending ACL tear. The fact that the appropriate muscles did not turn on fast enough to absorb that hit caused the injury. It was neurological, not physiological. When Adrian endured that hit to his knee his quad, VMO, and calf all went into concentric contraction, shortening into "protection mode", leaving the knee completely exposed without any ability to absorb shock and thus the ACL injury was the outcome. His strength, size and speed had zero ability to play any factor in preventing this injury because the signal from the brain to the muscles to turn on fast enough were impeded by scar tissue and inflammation. How are you able to get me back in 7 weeks as opposed to 6 to 9 months doing traditional physical therapy? 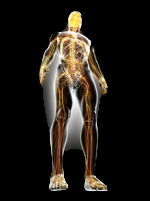 During these treatments, your muscles will be contracting at 500 times per second neurologically, increasing proprioception to the muscles, flushing blood to the repaired tissue and vastly increasing the healing process while simultaneously strengthening the surrounding muscles and eliminating atrophy. 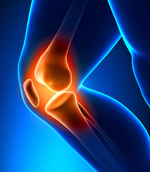 There is no other form of ACL recovery therapy that can eliminate atrophy post-surgery except ours. It is clear why we get players back far quicker, stronger and more importantly asymptomatic. We accomplish more in 50 days than any other ACL rehab program can accomplish in 9 months. What will my strength be after finishing your 7 Week ACL Injury Recovery Program in San Antonio, TX? The best way to answer that question is with this analogy. Imagine having a Ferrari with absolutely no shocks, how much damage would that do to that car? What good is having a Ferrari if you have no shocks, because you will just end up ruining it at some point, correct? Well, with traditional ACL rehab, that's the scenario that will happen. Your muscles are shock absorbers and if they are not turning on fast enough (loss of proprioception) to absorb that shock or hit on the field guess what? 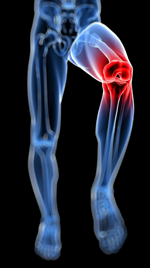 That force is sent to areas of the body not meant to absorb force, such as your knee, causing the ACL tear. Until that muscle is treated neurologically to turn on fast enough to absorb force, than all the ACL surgeries and rehab will not fix it and is why it is common to see a re-occurrence of the injury. You will have a brand new Ferrari (new ACL) operating with no shock absorbers. How long until you think you reinjure that ACL? Strength, size and speed mean nothing if the muscle(s) protecting the ACL cannot turn on fast enough to handle the force going in. That's a neurological function, not a physical one, and thus must be rehabbed from a neurological stand point. With our patented and proprietary ARP Wave System, we are going to find the neurological origin of the ACL tear, break up the scar tissue that is hindering it from turning on fast enough to absorb force, strengthen it through our proprietary protocols, and leave you with an ACL protected by muscles that will now turn on fast enough neurologically to absorb even the most violent of hits or force. No other form of therapy can neurologically accomplish this except our 7 Week ACL Recovery Program! Remember, we are taking the force out of the ACL region and transferring it into the muscles meant to absorb the force. We are able to do this by simply locating the origin of the ACL tear with our ARP Wave device, than neurologically put the muscle into an eccentric contraction (lengthen) with our patented waveform. When this occurs the force that had injured your ACL is eliminated by transferring it to the supporting muscles as was intended. At this point, we are able to treat you with active movement while simultaneously strengthening the muscle and sending blood to the repaired tissue. The key here is that we are allowing the origin of the symptom (the supporting muscle) to go into eccentric contraction and lengthen, taking the force away from the ACL while we treat with active movement. No referral is necessary. As some orthopedic surgeons are not even aware of this patented and proprietary ARP Wave system, we will educate and coordinate with your surgeon's office for you during your 7 week ACL Recovery Program with us. I am interested in setting up an appointment. What do I need to do? Give our office a call at 210-697-9700 and request an initial consultation and treatment with our ARP Wave trainer. There is no cost for your initial appointment to see if you are a candidate. The visit takes an hour and we ask that you please bring shorts so we have access to your knee.